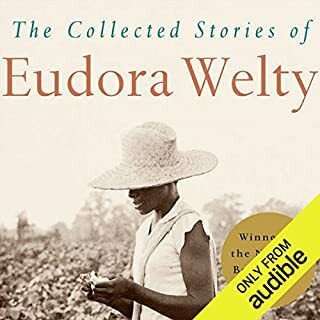 This complete collection includes all of the published stories of Eudora Welty. There are 41 stories in all, including those in the earlier collections A Curtain of Green, The Wide Net, The Golden Apples, and The Bride of the Innisfallen, as well as previously uncollected stories. The title story is a tragicomedy about social pride, racial bigotry, generational conflict, false liberalism, and filial dependence. The protagonist, Julian Chestny, is hypocritically disdainful of his mother's prejudices, but his smug selfishness is replaced with childish fear when she suffers a fatal stroke after being struck by a black woman she has insulted out of oblivious ignorance rather than malice. Similarly, “The Comforts of Home” is about an intellectual son with an Oedipus complex. Driven by the voice of his dead father, the son accidentally kills his sentimental mother in an attempt to murder a harlot. 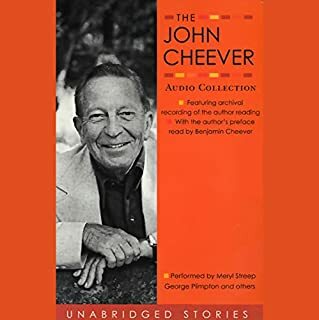 The other stories are “A View of the Woods”, “Parker's Back”, “The Enduring Chill”, “Greenleaf”, “The Lame Shall Enter First”, “Revelation”, and “Judgment Day”. 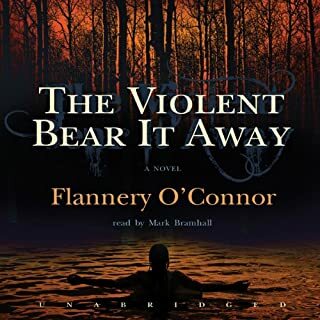 ©1956 1957, 1958, 1960, 1961, 1962, 1964, 1965; renewed 1993 by the Estate of Mary Flannery O’Connor (P)2010 Blackstone Audio, Inc.
Flannery O'Connor's short stories are fascinating the way looking at a household insect in a magnifying class is fascinating -- suddenly, a familiar, innocuous part of the world becomes a writhing grotesquery. Except, here, the object of examination is human self-importance, within the context of the American South circa 1960. If you've ever taken a creative writing class, you've probably read at least one of these stories. Fifty years after being written, they're still textbook examples of how to use flawed characters to reveal the absurdity of human attitudes. 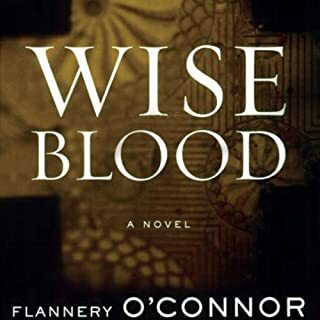 O'Connor sets her characters against some obstacle or antagonist, then dispassionately observes them as they drive themselves to their own ruin, usually with some final moment of epiphany. It would be bleak stuff if it weren't so enthralling, and sometimes laugh-out-loud funny. There's the story of a young man who bristles at his mother's unthinking racism, yet whose own enlightenment rings false. There's a self-righteous father who neglects his disappointing son in order to "save" a delinquent teenage boy, whose feral cunning more than matches him. There's a self-satisfied middle-aged woman who can't understand why she attracts the ire of a college girl in a doctor's waiting room -- after all, she's the "right sort of person", not like that poor white trash family a few seats over. My favorite in the collection deals with the dark comedy that results when the mother of a bookish 30-something hermit who still lives at home takes pity on and naively decides to rescue a very troubled young woman, much to her son's annoyance. Since I sometimes loan books I've finished to my own mother, I had a laugh at the thought of sharing that one. Not that I live with my mom or she often brings home tragic 19-year-old girls with nymphomaniac tendencies (alas). There are a few other reasons O'Connor remains a staple of writing classes. She's great with language, voice, and nuanced observations of human behavior, and at using foreshadowing and meaningful imagery. She works in major social issues (e.g. race) and religious themes (e.g. suffering, epiphany), but doesn't hit the reader over the head with them. If you enjoy stories that are dark, unsparing, and grotesque, but also humorous, compassionate, and deeply honest, consider this collection. Reading up on O'Connor's life, which came to an early end from illness, it wasn't hard for me to see how some of her own personal trials must have informed her work. The brilliance of these stories still shines, and her influence is visible in later writers who have picked up on her methods (e.g. Jonathan Franzen, Claire Messud). The audiobook production is pretty good. Some readers are better than others (one guy's voices sound like characters from South Park! ), but I think you really need to have those thick southern accents in your head to fully appreciate the writing, so consider a listen. Would you listen to Everything That Rises Must Converge again? Why? Absolutely. This is some of the most brilliantly cutting fiction that's ever been written. What I liked about Flannery's stories is exactly what I don't like about them. They're painful. She exposes the arrogance of progressive/liberal thinking and the shallowness of conservative niceness. Wherever you find yourself landing, she's got a scathing revelation awaiting you. But that's exactly why I keep coming back to her stories. She exposes both my arrogance and my shallowness. These very well chosen narrators bring local color and life to the characters that I simply wouldn't have provided if I were reading the stories silently in my head. The biting tone of some and the simpering of others. So well done. If you could take any character from Everything That Rises Must Converge out to dinner, who would it be and why? Absolutely none of them. They are all dreadful! Nice Catholic ladies aren't supposed to demolish you like this. O'Connor was born to be a literary knife fighter. Page after page, with zero sentimentality, O'Connor rips the grotesque out of her characters and with a bareknuckle, Christian realism absolutely dares you to turn the page. Hers is a painful grace, a search for the holy in the swamps of the Southern absurd. The brilliant thing about O'Connor is by telling her stories of divine grace among the heretics and the horrors, the reader might easily miss the divine spark in the grotesque and absurd darkness. What did you love best about Everything That Rises Must Converge? Each short story is memorable. I have read nothing like them before. I did not like any of the characters but I was made to feel for them just the same. I suppose old Tanner in Judgement Day will be most memorable, or Mary Fortune in A View from the Woods. I have tried to read O'Connor but just did not get it. These narrators brought the stories to life. Their interpretations are brilliant. This is great writing but magnificent performances. I was never bored. Had I simply listened to each story, this book would have been returned. But O'Connor is considered one of the most important authors in the last century for a reason. In each short story, hidden the droleness, violence and ugliness of every day life, is a moment of grace. By grace she means the grace of God. A devout Catholic, she read Aquinis' Summa daily since childhood. I mention this because it reveals her intellect and spiritual depth. To better appreciate her work, I highly suggest reading Paul Elie's "The Life You Save May Be Your Own, an American Pilgrimage. Also, I have sat in a couple of lectures on her work. So my point is, listening/ reading O'Connor should be like unravelling a puzzle or mystery. Where is the moment of grace and why is it often revealed in suffering. It's not pretty and often hard to listen to, but neither is life. Yes, the stories are strong, and the performances are excellent. What was one of the most memorable moments of Everything That Rises Must Converge? A couple of the stories have eerie, disconcerting climaxes, but to describe them would be telling. My favorite story was "The Enduring Chill," which features a few very funny scenes in which the tortured writer struggles with the fact that he is likely uncreative. Who was the most memorable character of Everything That Rises Must Converge and why? Mrs. Turpin of "Revelation." Here's a woman who thinks she knows herself body and soul. but she's terrifyingly wrong. This story collection is very dark. People hope greatly, and fail terribly. There aren't any winners, only tension, and confrontations where everyone loses. There is a theme of bone-deep misunderstanding, of people across generation and color not being able to see each other clearly. I would recommend perhaps breaking it up if you're of a more optimistic persuasion. Flannery O'Connor was what one of her own characters might call "an intellectual," yet due to her health (she suffered from lupus), she lived on a farm in the country with her mother. This collection is in my opinion her best, because the stories draw directly from that struggle while taking on dozens of other issues such as racial and social equality, gender equality, faith, and mother/child dynamics. My favorite story here is "The Lame Shall Enter First," a sly, dry, and ultimately revealing view of what O'Connor believed Jesus had in mind for all His followers. The rest show the world from the perspective of the postwar American South: the old ways still fighting the new. As one character says early on, "...the bottom rail is on the top," and few seem happy about it. The resulting gloom could have made these stories depressing, but they're much too funny for that. O'Connor's particular gift was dialogue, a lot of which is still laugh-out-loud hilarious, even when you've read every story multiple times before. The narrators here do a fabulous job. Nobody overdoes it on the Southern accents, and the audio quality is great. 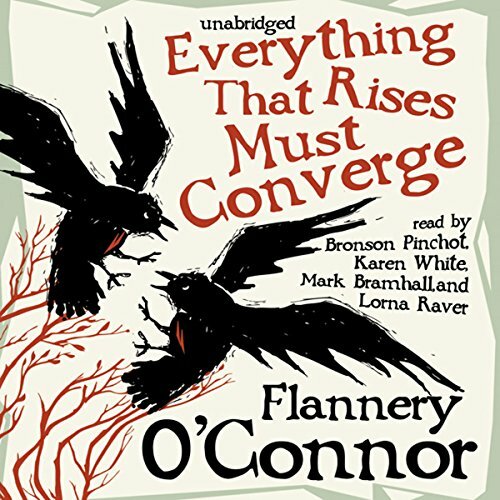 Flannery O'Connor's work is a national treasure--every American book-lover should experience these stories, and this edition is the perfect way to go. 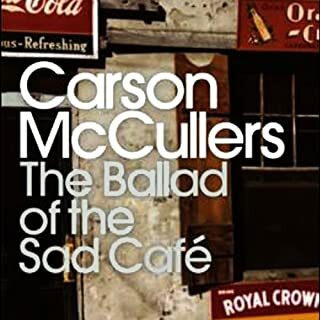 Typical of O'Conner, these short stories are down to earth and not cheerful little things. As a matter of fact most of them are downright downers! But they hold your attention. I kept wanting to "rescue" the characters and fix things for them but O'Conner lets them walk unwaveringly to their dooms. These stories take place in the old south and there is plenty of bigotry and poverty. There are many social stratuses and these characters tend to be toward the bottom of the social ladder but always looking down on those below them and being so grateful they are better. It would be funny except that it is so true to life and so heartbreaking. I grew up in the deep South in the 40s and 50s and know that these characters ring true. I liked some of the readers better than others but didn't find any were great. This is another one that somehow escaped my reading drag net. Only slightly dated, the raw racism will both turn your stomach and illuminate your mind on the twisted of people you probably know. The Lame Shall Enter First is as perfect today as it was when written --- 50 years ago. Flannnery O'Connor is probably the best writer the South has ever produced. In this collection she draws unforgettable characters, with her masterful use of language and an ingenious ear for dialogue. The performances are wonderful, some of the best I've heard. This is not just entertainment, although it certainly entertains, but literature. Very much worth the listen. Alternate stories were read by a male and female voice respectively which made the whole book more pleasant to listen to. 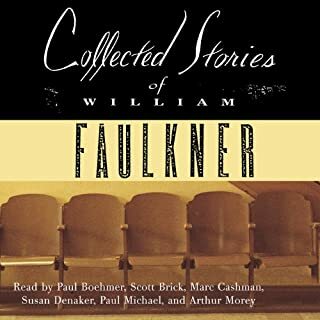 There may not be anything supernatural in these stories,but they do exude a sinister atmosphere.Individual tales linger in the mind,long after reading (such as "A View Of The Woods" and "Parker's Back").The stories are read alternatively by male and female voices and this works quite well.An interesting collection of Southern Gothic tales that reflects the America of the 1950's/1960's and in some ways reveals sadly,that things haven't really changed at all !